A token fine of $1.30 has been issued to a man in Canada by a judge who called the country’s cannabis laws “obsolete and ridiculous”. The accused, a 46 year-old suffering from ongoing pain as a result of a road accident, had sought to acquire a prescription so he could legally possess the cannabis; but was unsuccessful. While the prosecution requested a custodial sentence of 90 days and a fine of $ 250. 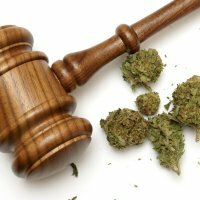 The judge instead posed the peppercorn amount and stated if everyone in Canada who had used marijuana was prosecuted; it would involve half the population; including attorneys and perhaps even judges. The judge was correct – humanity has been utilising medicinal cannabis for thousands of years. Its use was first recorded in ancient Egyptian times. Up until recently, the Government of Canada did not endorse the use of marijuana, but reasonable access to a legal source of marijuana is provided when authorized by a healthcare practitioner. However, it is a strict and rigorous process that can take well over a year to complete. For people enduring chronic pain, that can be far too long. It’s expected access to medicinal marijuana will become easier under Canada’s new Prime Minister Justin Trudeau. A not insignificant part of Trudeau’s election campaign was to “legalize, regulate, and restrict access to marijuana,” including for non-medicinal purposes. Currently, there are around 26 licensed producers of medical cannabis in Canada. Between April 1, 2015 to June 30, 2015, 2.2 tonnes of medical marijuana was produced. There’s certainly been no lack of interest in cultivating – as at the end of March this year, 1,284 applications had been received according to Health Canada. 23,930 patients were registered with the program by the end of the June 2015 and the average amount of marijuana for medical purposes authorized per client was 3.3 grams per day. Is Hemp Derived CBD Illegal In The USA?